A Study visa for South Africa is issued by the Department of Home Affairs for foreigners who are looking to study at a South African accredited learning institute and reside in South Africa. New immigration regulations have altered some of the permissions that a study visa holder may now enjoy, the below information is correct as per the June 2104 updated regulations. Who requires a Study Visa for South Africa? Firstly let us look at who needs to apply for a study visa. Broadly speaking, any foreigner who is wishing to take up studies in South Africa will need to obtain permission from the Department of Home Affairs to do so. This permission is given by way of the granting of a study visa. This will be applied for by ‘stand alone immigrants’ of a non dependant age, that wish to continue their studies in South Africa and therefore require a study visa. For example the student may be wishing to continue their studies at a university or other suitable learning institutions. There are some great advantages to the study visa and you can read more about them here. 2. Students who are accompanying their families in immigration to South Africa. This would occur where the parent of a dependent child has taken up temporary residence in South Africa, for example via a work visa. The granting of the work visa does not itself provide the child any right to enter South Africa and also not to attend school. In this event a study visa for South Africa must be applied for and issued to allow the student to attend the desired learning institution. You can read more about study visa’s for schooling here. Does holding a study visa for South Africa lead to permanent residence? Study visa holders do not qualify for a permanent residence application no matter the length of time that they may hold a study visa for. However currently those that achieve a PhD in South Africa can apply for a critical skills work visa, you can read more on this here. What is the Validity Period of Study visa for South Africa? According to the new Regulations, a Study visa in South Africa will be issued for the duration of the course at the approved learning centre, up to a maximum of 8 years where the applicant is a minor child in primary school. Where can the holder of a study visa for South Africa study? Study visa holders can study at Department of Higher Education and Training approved learning institutions. This will include Schools, Colleges and Universities. It is essential that the study visa applicant ensures that the institution they wish to study at enjoys this approved status. If not, the study visa application will not be successful. Where can a study visa application be made? Unless you are already in South Africa on a temporary visa (excluding tourist 90 day type visas) you will need to make your application abroad. You may not enter South Africa on a tourist visa and subsequently make an application. Can a study visa be renewed? 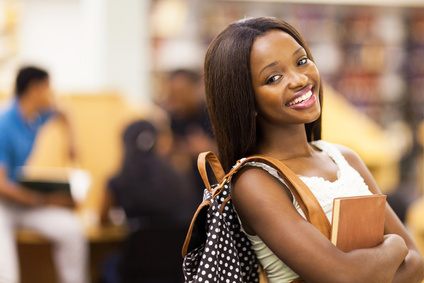 An application for further studies can be made and additionally it can be made in South Africa with no need to leave the country to make the application. You must meet all the current criteria that a study visa requires including an explanation for the further study period. Read more on renewing your study visa here. Our telephone contact details including local lines for our Dutch, German and United Kingdom clients can be found on top of this page, feel free to call us and discuss your prospective application or current situation for a study visa for South Africa.